← IALL Recap: Opening Night! Our visit focused on the Library. 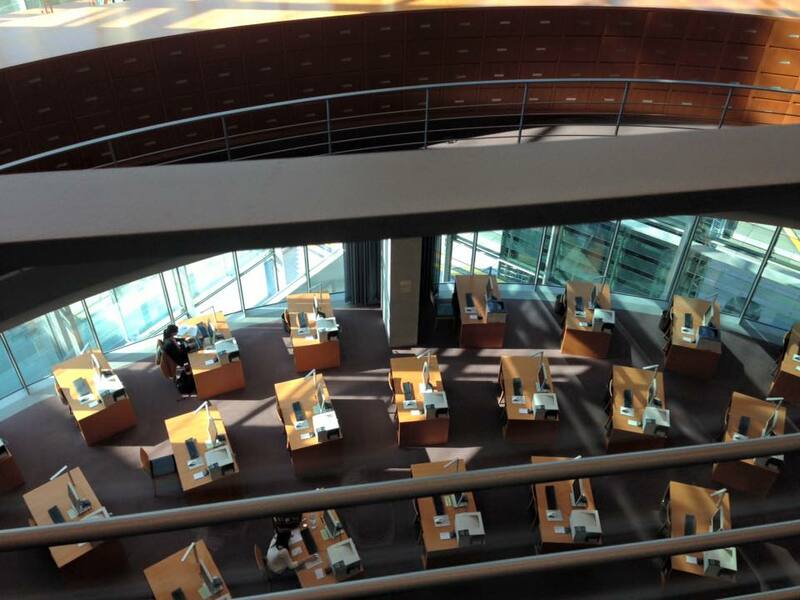 The Library’s website is available in German, English, French and Arabic. The Library is responsible for cataloging and indexing printed material and electronic media as well as document delivery and distribution of information. The Library oversees the open-access catalogue, the lending and reading room, information and reference services, publications, and digital resources. The Library has 85 employees, many of whom are part-time. They are spread among the four sections of the library. Two sections combine to cover acquisitions, publications, and special collections. One section is responsible for cataloging, indexing, and collection building. A final section provides lending and reference services. The Library has 1.4 million volumes and acquires 15,000 new items annually. It subscribes to 8,000 periodicals, mostly in print; 6,000 of which are official gazettes, yearbooks, and other official government publications from other European nations. The collection consists of about 20% monographs, 20% periodicals, and 40-50% electronic services. The Library collects heavily in law, economics, social sciences, parliaments, political science, and statistics. The Library’s budget is about $1.5 million. 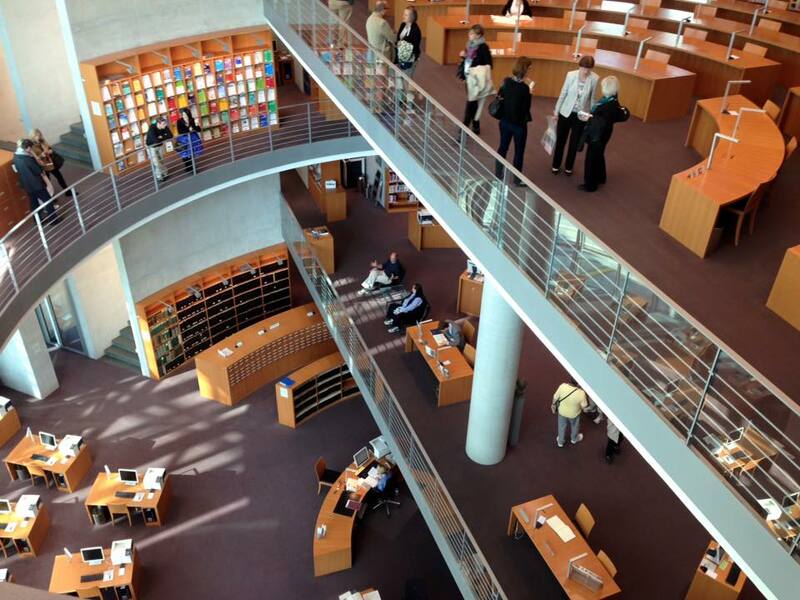 Of the 80,000 new titles published in Germany annually, about 50% are fiction. The Library reviews a weekly bibliography from the German national library (available online, free) which aids is selection. The Library purchases a large number of international publications from international agencies and IGOs such as the OECD, FAO, UN, EU. As mentioned, the Library also purchases many foreign parliamentary publications, including gazettes and statistics, mostly from European countries and the US, and mostly in English. The Library has some reciprocal arrangements for the exchange of materials rather than purchase. The Library also seeks to purchase gray literature from NGOs, trade unions, political parties, academic societies, citizen political groups, and the like. The vast majority of material acquired is in German, plus some English and French, too. The Library previously had a small collection of Russian-language materials but it was so infrequently used that the Library donated it to another library that could use it. The Catalogue covers the holdings of the entire Library. It also contains item records for over 800,000 articles from various journals it holds. The item records link to the full-text. The Library serves 4500 persons in Parliament and provides limited services to many more. The Library is not open to general public but grants access to scholars for 10-day periods. The Library operates on the principle that it provides non-partisan, equal access of all material to all its patrons. When a patron is in the Library, it takes less than 30 minutes to retrieve an item from the closed stacks. The open stacks in the multiple floors of the library contain 20,000 volumes and 1,000 journals. 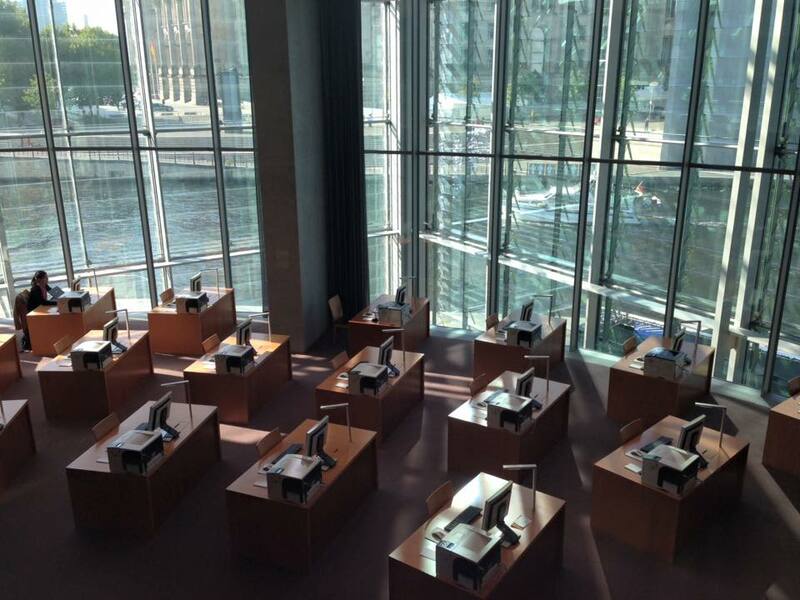 There are 60 individual desks for reading and 30 personal computing workstations. When a patron requests a title that the Library does not own, the Library is generally able to put it in the patron’s hands in 2-3 days. The Library receives over 600 in-depth inquiries annually. It offers advice to Library users, and answers inquiries via telephone, email and web-form. The librarians prepare bibliographies on specific topics, compile lists of materials, share information about new acquisitions, prepare displays on topical issues, and give guided tours. The Librarians publish, both in print and electronically (internet and intranet), documents such as a monthly list of new books and recently-published articles, short abstracts with annotations of new books, bibliographies on specific topics when a new committee is established in Parliament, and literature lists. Literature lists correspond to hot topics in Parliament; examples include Germany 25 years of reunification, health care, and nutrition. 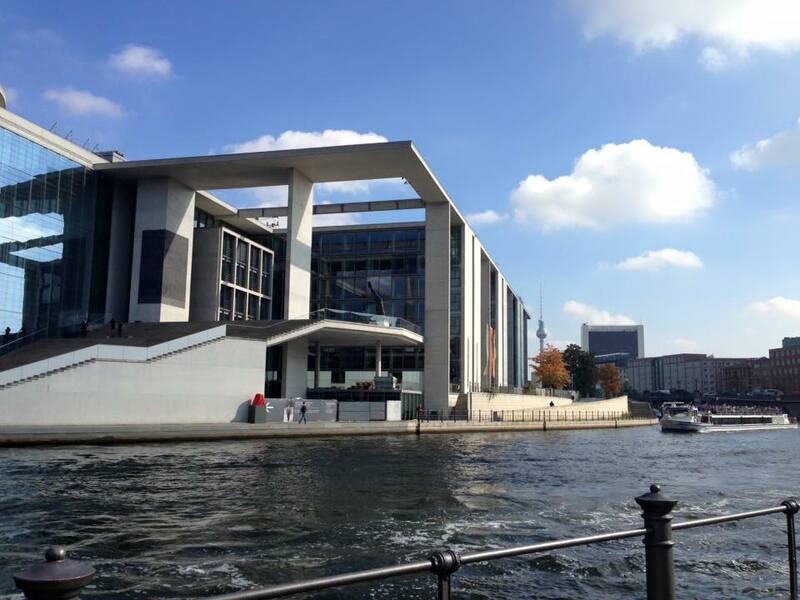 In sum, the Library of the German Bundestag provides tremendous services to its patrons, has a comprehensive and heavily-used collection, and sits in a beautiful, open, airy space. 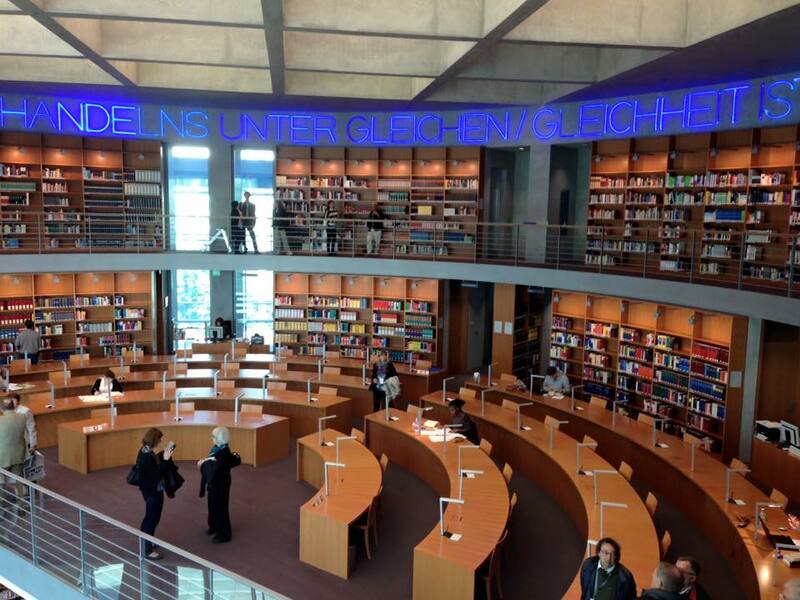 It was a pleasure to visit and learn about this impressive Library. This entry was posted in Conference Programming, Conferences, IALL Conferences, International Law, Photos, Research and Resources and tagged 2015, conference programs, conferences, europe, german law, Germany, iall, international association of law libraries, international law, law libraries, legislatures, librarians, photos, travel. Bookmark the permalink.